Having done some some miniature painting in my day, I really appreciate this build. 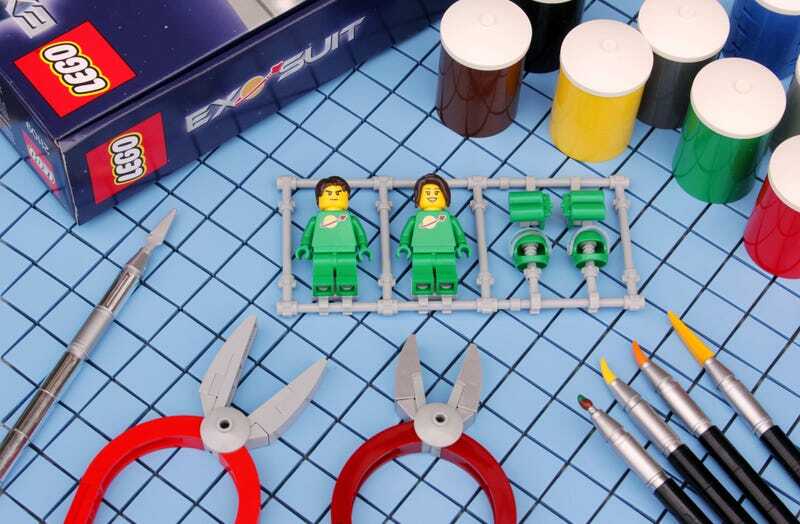 Peter Reid has done an amazing job of giving the impression of these Lego minifigures, still on the sprue, being customized for the Exo-Suit. The scene here is perfect, from the tools and paintbrushes to the amazing tile work for the legal cutting mat underneath.